These are the days of Blentec, Vitamix, Nutribullet and now Froothie entering the fray. It seems like everyone’s all about their super power blenders, myself included – my Optimum 9400 blender cost more than my first car! (Granted, it was a pretty crappy car.) And while I have never once regretted my blender, I totally get that others may feel their money is better spent elsewhere (paying the rent, taking a cruise, going to SpoonFest…). 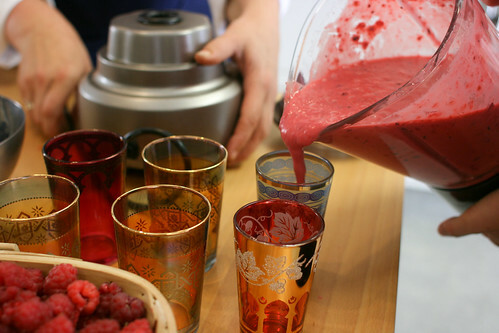 For folks with more economically-priced blenders, it might be really frustrating to go searching for smoothie recipes only to find that they’re all made with super gadgets – what can they do with their humble machine? Well, a lot, actually. For example, my friend Emily has been making some terrific smoothies from my book Smarter Fitter Smoothies and getting great results with her soooo nifty Kenwood Smoothie 2GO . It retails at £29.99 and does a very fine job of blending carrots, pecans and other tough ingredients, making it a very worthy competitor to the Nutribullet. It’s not terribly useful for soups, and it won’t grind rocks, but for its purpose it’s pretty good, so why not? For folks like Emily, and other people who have more conventional blenders, I’ve put together a list of ways to make an awesome smoothie in ANY blender, and I’m psyched to be sharing that list over on Mardi’s blog today. 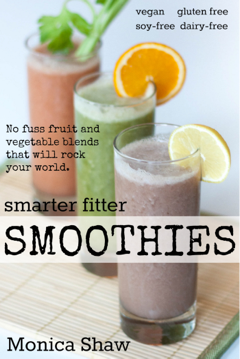 If you’ve been struggling to create smoothies that qualify as “awesome”, do check it out!